These are a series of photographs of Rupee notes, some of which are cut-outs. 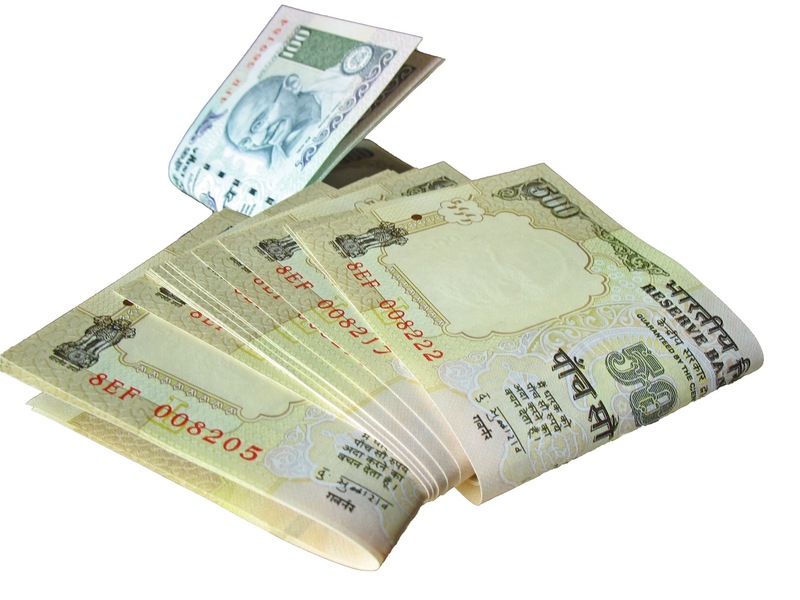 The Indian currency notes are of the denomination of one thousand, five hundred and one hundred. One of the pictures has ten rupee notes. 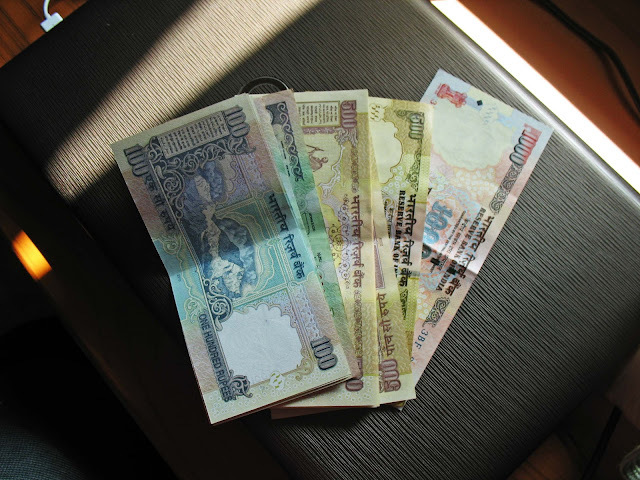 The first four photos are cut-outs of rupee notes. 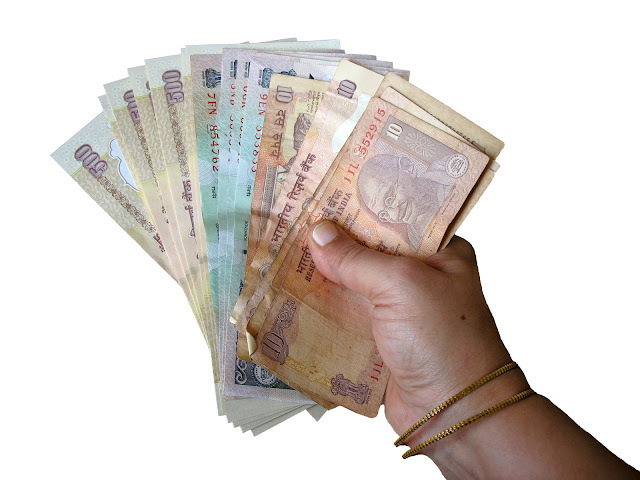 These are ₹1000, ₹500 and ₹100 notes. 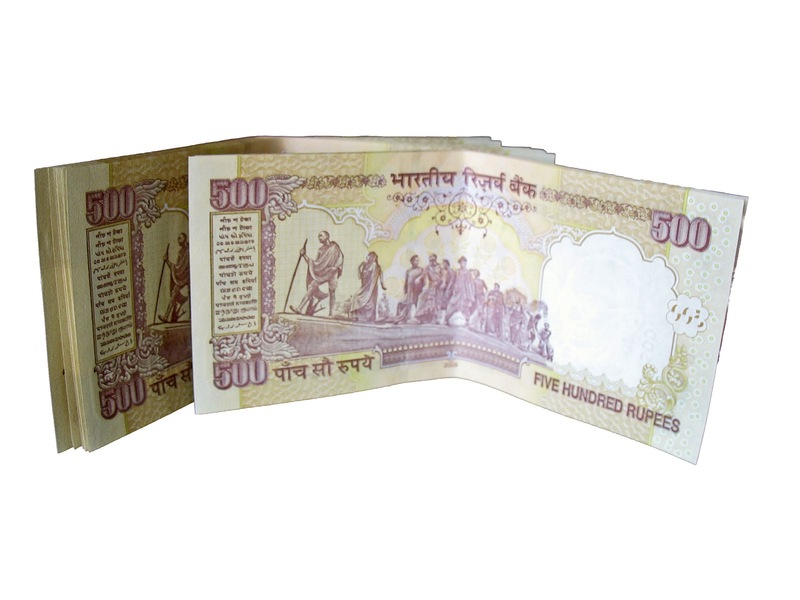 A hand holding notes of ₹500, ₹100 and ₹10 denomination. A bunch of five hundred and one hundred rupee notes lying around. A cut-out of the rupee notes. 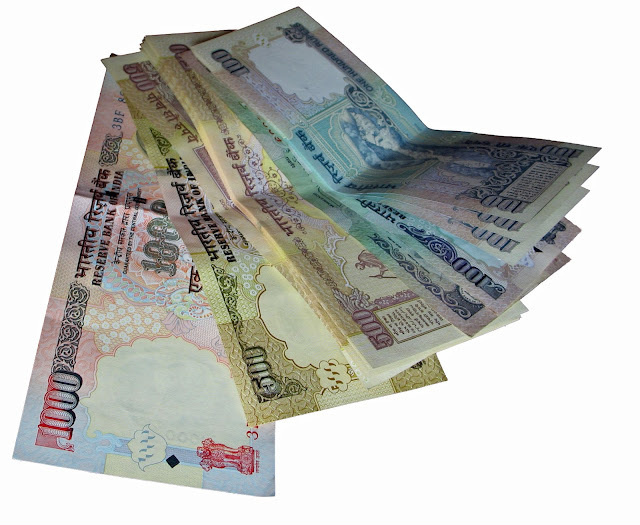 A cut-out of five hundred rupee notes. 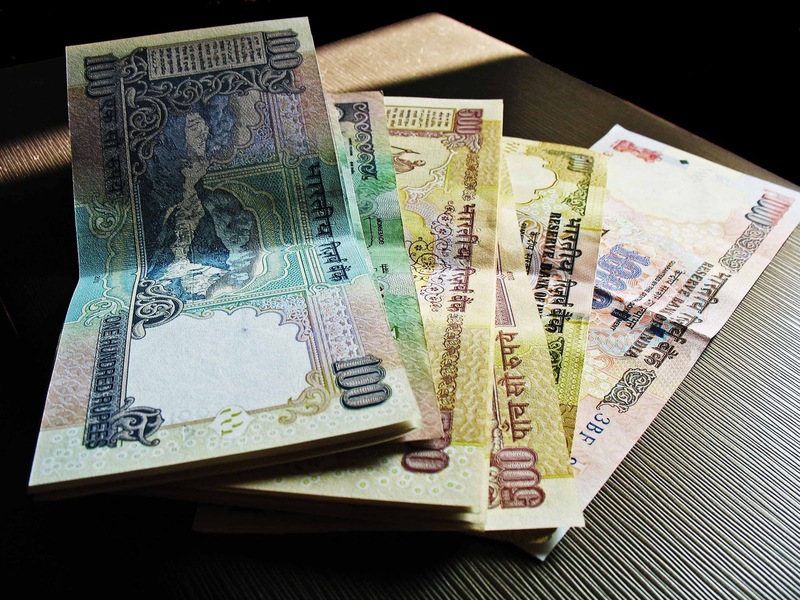 The next four photographs are close-ups of rupee notes on the background of a laptop. 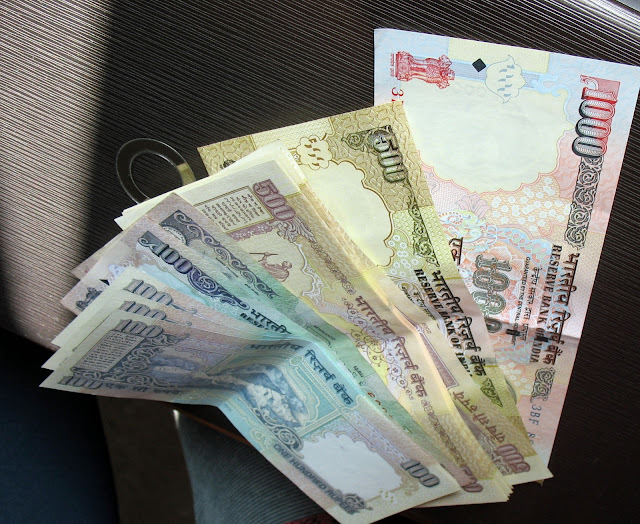 Another photograph of a series of ₹100, ₹500 and a ₹1000 note lying on a laptop computer. 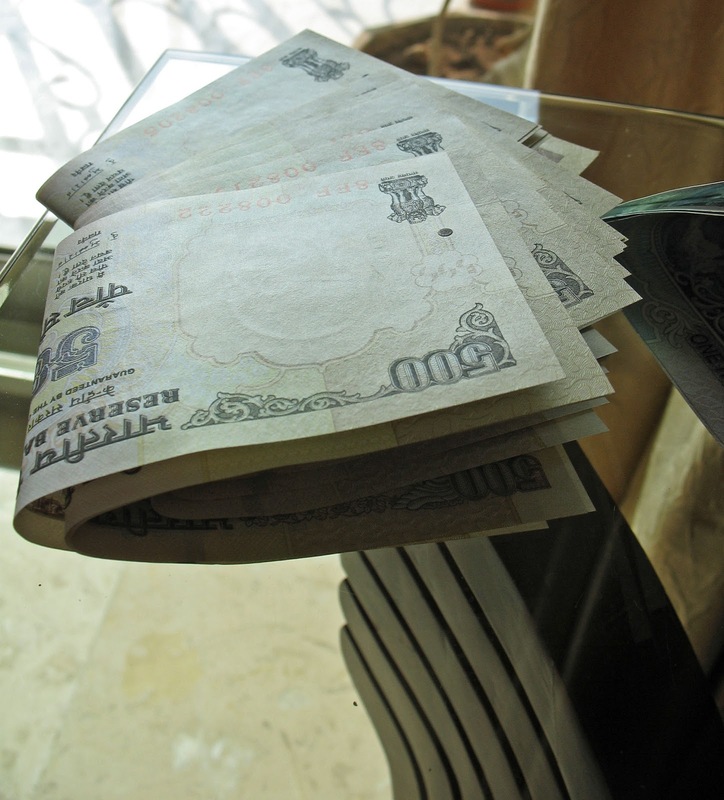 A similar photo of hundred, five hundred and a thousand rupee note lying on a computer. This last photo has the bunch of rupee notes lying on a laptop on a desk. A chair can be seen to the left of the notes. 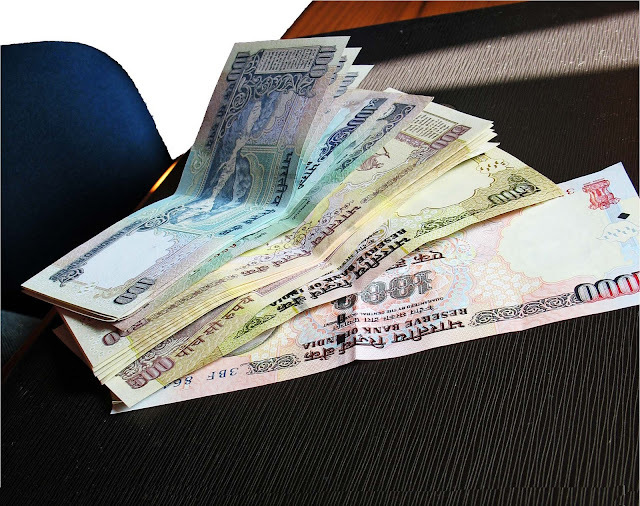 A picture of rupee notes in the foreground and a laptop, a chair and desk as a background.